It’s officially Thanksgiving season. And every Foodie Monday from now until Thanksgiving, we’ll be sharing one recipe to help you plan your Thanksgiving meal. 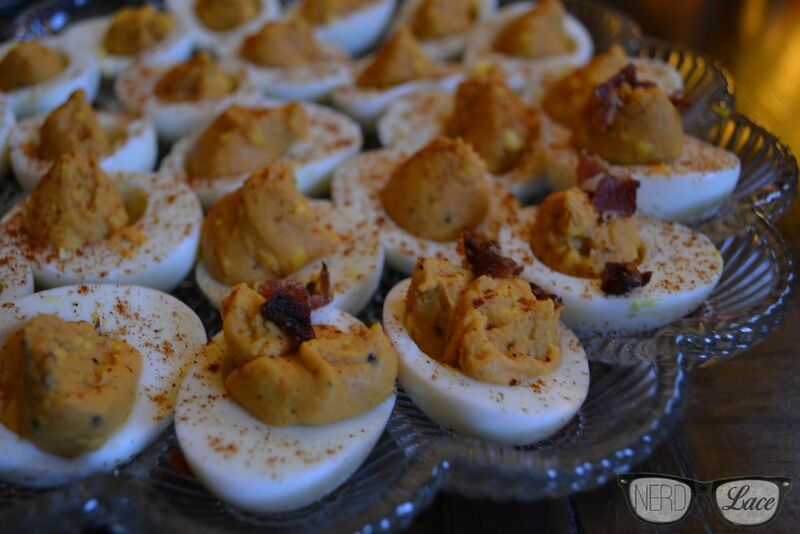 Today we are starting with my Deviled Egg recipe. It contains NO MAYO. Nothing against mayo, but saving yourself a few calories during this eating season, is more than welcome. Let’s get started. Boil the dozen eggs in the kosher salt. Once boiled cut eggs in half and remove yolk into a separate container. To make the egg mixture, add 1 tsp each of Worcestershire sauce, hot sauce, ground mustard, salt, black pepper, turmeric, and minced (or just dried if you don’t have minced) garlic. Then add 1 cup or more (as needed) of Catalina dressing and stir until you have a smooth and creamy consistency. Scoop filling into a ziploc bag, and snip the end off with a pair of scissors. 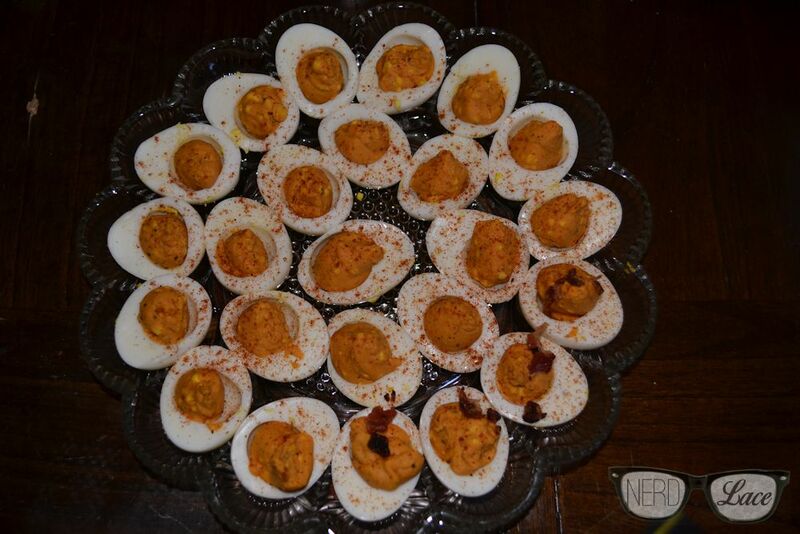 Pipe the filling into the eggs and sprinkle with paprika. Bonus: crumble some bacon on top if you really want to wow your guests. Enjoy immediately or cover and serve chilled at a later time. 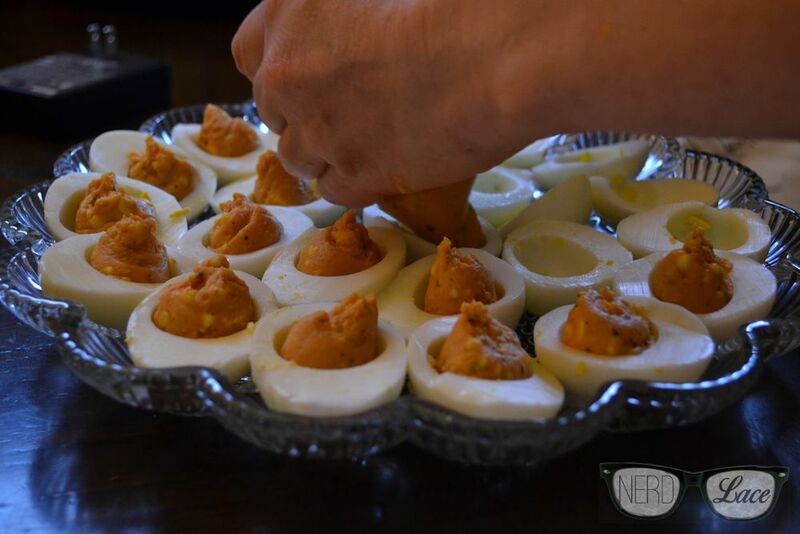 If you make this or any of my past recipes, share it with us below or on social media by using the hashtag #nerdandlace.